Elf on the Shelf has returned once again to many homes across the world. It is the time of year for the elf to report to Santa if children are being naughty or nice. For those who may not be familiar with Elf on the Shelf, they originally came into existence in a children’s book written and self-published by an American mother and daughter Carol Aebersold and Chanda Bell in 2005. 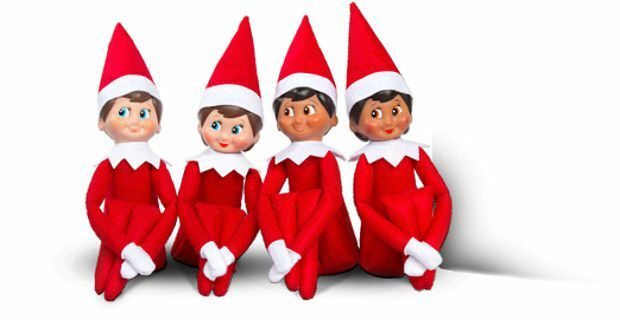 It is titled, Elf on the Shelf: A Christmas Tradition which was based upon their family traditions. The idea is that this stuffed elf appears on December first and watches the children until Christmas Eve. Every night it goes to the North Pole and reports to Santa if the children have been naughty or nice. It then returns back into the child’s home, but always in a new random place where it can watch them. They are magical creatures so if they are touched they lose their magic. Children can talk to the elf but it will not talk back. They often have non-threatening names such as Snowflake or Sweetie Pie and now owners can buy clothing and accessories for them. While many social media users have enjoyed sharing photos of the elf getting up to mischief, others are not a fan. They see the elves as promoting a surveillance culture as well as the idea that the only reason to behave during this month is so that Santa will bring presents.